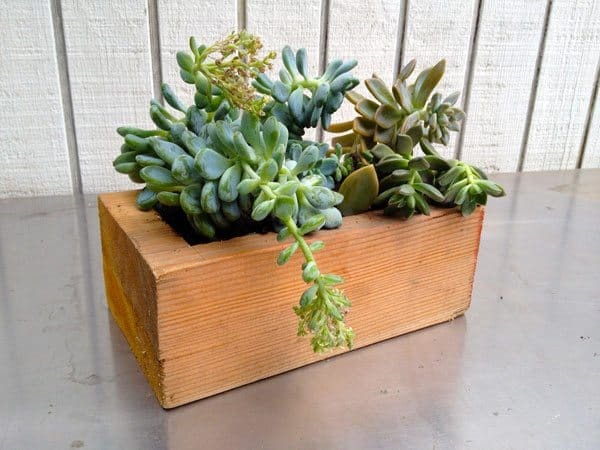 I recently saw some planters made from old railroad ties that looked awesome. Unfortunately I don’t have any railroad ties laying around but I did have some lumber pieces that would work. This seemed like an easy project but halfway through I had to ditch my current technique and go with something different. If I had a drill press and some type of boring bit or a router with a deeper bit I might have been able to build this faster. But I would have missed out on the experience of hacking this together. 1. I started with a block of wood that was 3 1/2 inches tall by 5 1/2 inches wide by 9 1/2 in length. Any block of wood will do but I suggest it be at least 3″ tall so a 2×4 is too thin. 2. I measured an inch away from each side. safety gear to protect my eyes and lungs as I knew sawdust would be flying. 3. My first thought was to use my oscillating tool to cut the wood then use a wood chisel to carve out the hole. 4. This didn’t go as planned so I moved to option 2 which was a 1″ spade bit and although it was a bit tedious it didn’t take long to drill out a space that was about 2 inches deep. 5. 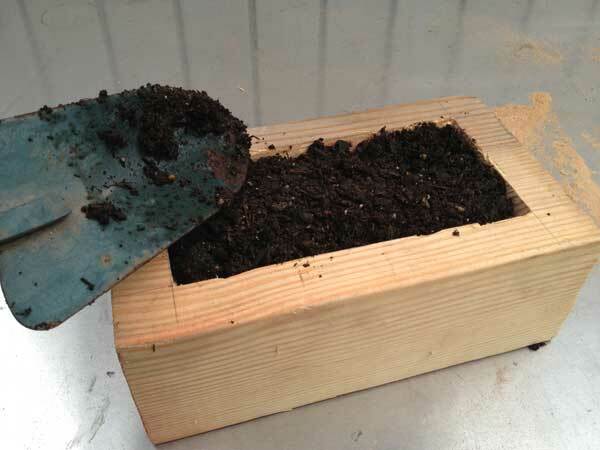 Just add soil and succulent cuttings and water. 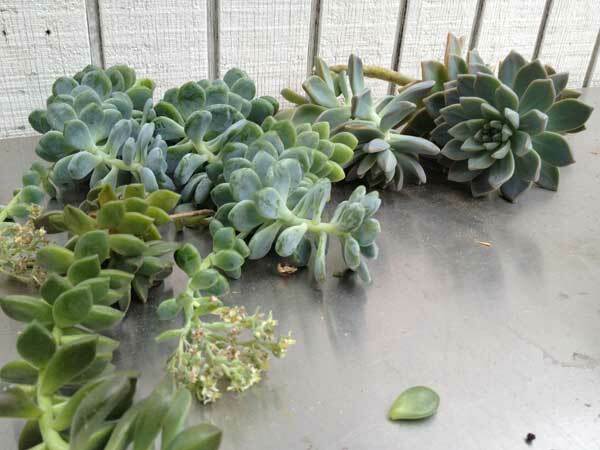 If I was patient I would simply add succulent leafs and a few stems then cover with soil but that’s for the next project.